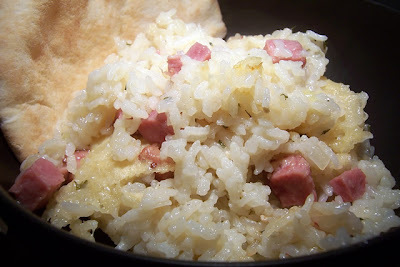 This is an easy dish that can be frozen for future use, makes a great dish-to-past (hey, it IS a cassarole), or is great just served up in a bowl, and attacked with a spoon. 2. In a 4-6 qt. 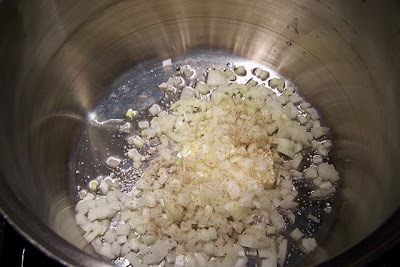 pot over low heat, sweat the onion in the butter and olive oil, along with a pinch of kosher salt, and a few grinds of black pepper. 3. 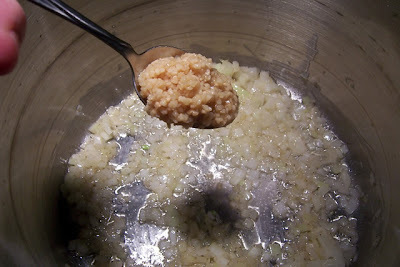 Halfway through the sweat, stir in the garlic. 4. 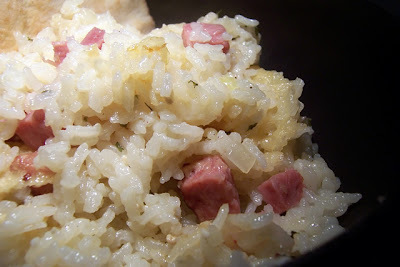 When the onion appears cooked, but not browned, stir in the rice, ham and parsley. 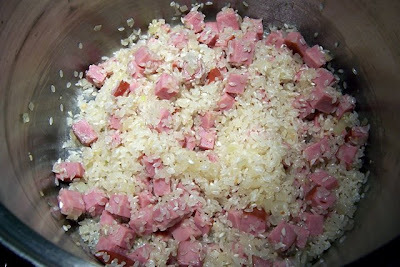 Lightly sauté the rice and ham for 3-4 minutes. 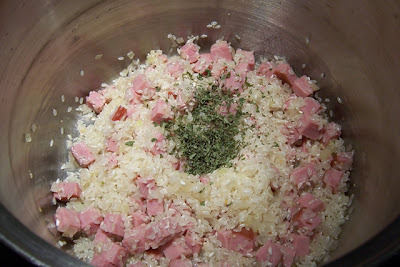 This will start to cook the rice, and give the finished dish a subtle nutty flavor. 5. 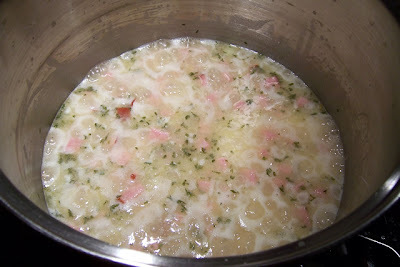 Gently pour in the chicken broth and raise the heat to medium-high. Bring everything up to a boil. 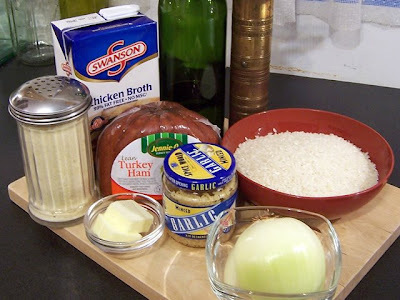 If you'd prefer a more risotto-like texture, add one cup of broth at a time, stirring until most of it is absorbed by the rice, then repeat with the next cup of broth. Once all the broth is in, bring to a boil. 6. 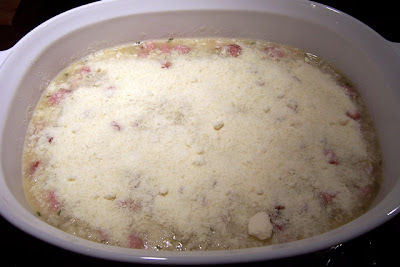 Once it hits a boil, cut the heat and transfer the mixture to a baking dish, and sprinkle the grated parmesan evenly over the top. 7. 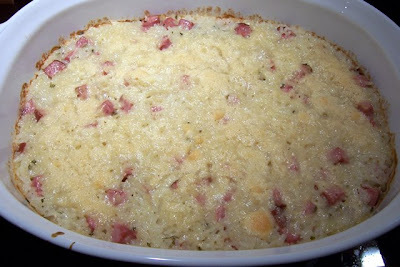 Cover and bake for 30 minutes. When the 30 minutes are up, remove the lid and return to the oven for five additional minutes to crust up the top a bit, then remove and let stand for 5-10 minutes. Leftovers are freezer-friendly, and reheat easily in the microwave. Just portion out one serving in a microwave-safe bowl, and nuke of medium for two minutes. Remove, stir and nuke on high for an addition minute or two.